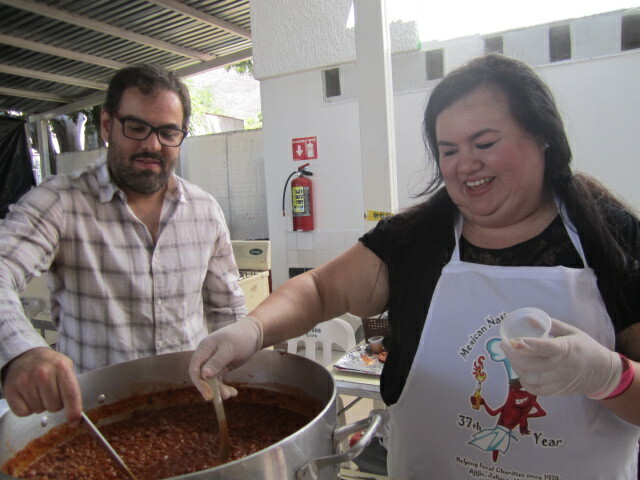 The 37th Annual Mexican Chili Cook-Off was a great success. It started on Friday, February 27th and went through Sunday. It ended at five p.m. on Sunday, March 1st. It was held at the Tobolandia water park. This year the parade was very small. 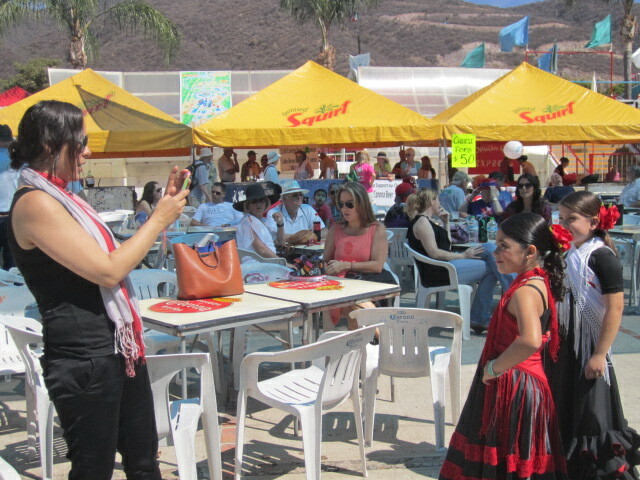 The Shriners were in it and the tour bus from Chapala. 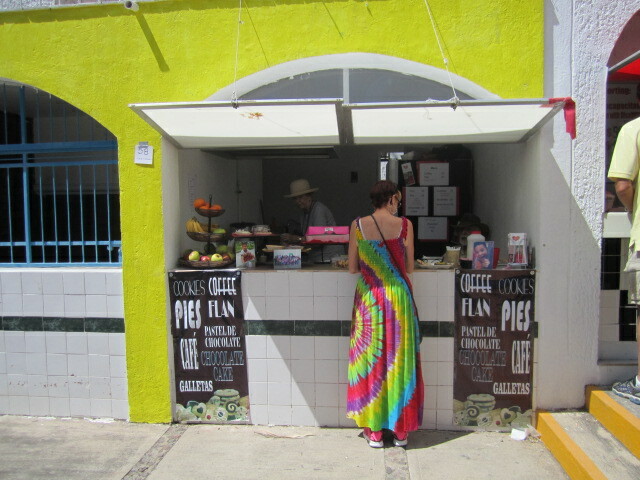 Instead of starting at six corners as it did on previous years, it started by the bank up on the Carretera. What was the reason for such a small parade? I was told that Lent was the reason. The priest at the six corners Catholic church did not like having a parade during lent. So it was cut back to just the Shriners and the tour bus. Usually Lent is after the Chili Cook-Off so it wasn’t a problem. But don’t worry, a small parade did not mean small pleasures for the Chili Cook-Off visitors. Tobolandia was jumping with excitement! 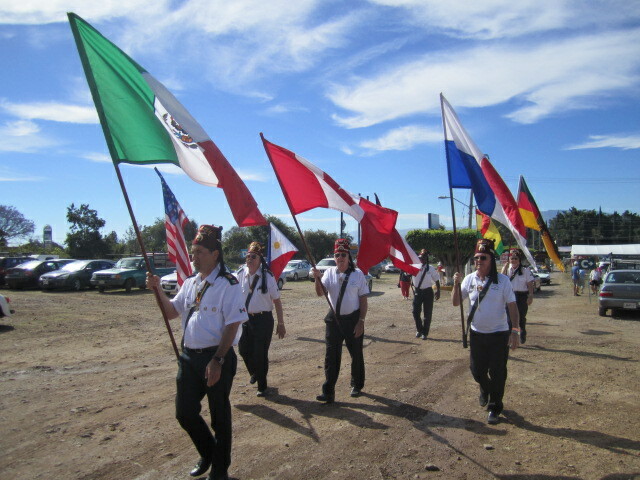 Below is a photo of the Shriners as they arrived in the parking lot at Tobolandia. 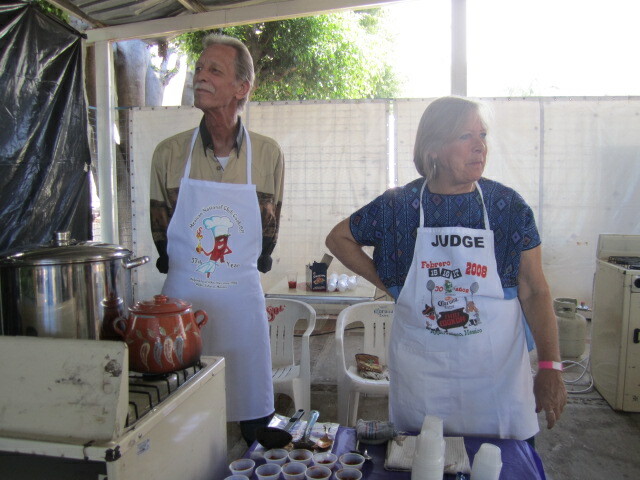 The Chili Cook-Off is the biggest fund raising event of the year here. Proceeds from it go to eight local charities. I will list them later on in this article. 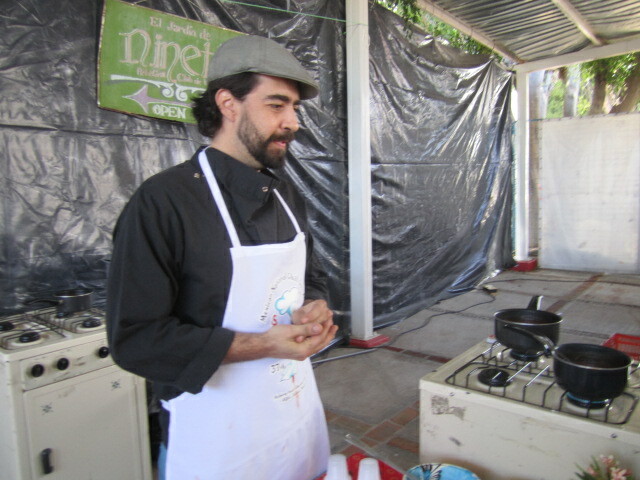 Last year the Cook-Off raised 36,550 pesos for each of the charities. This year they are hoping for more. 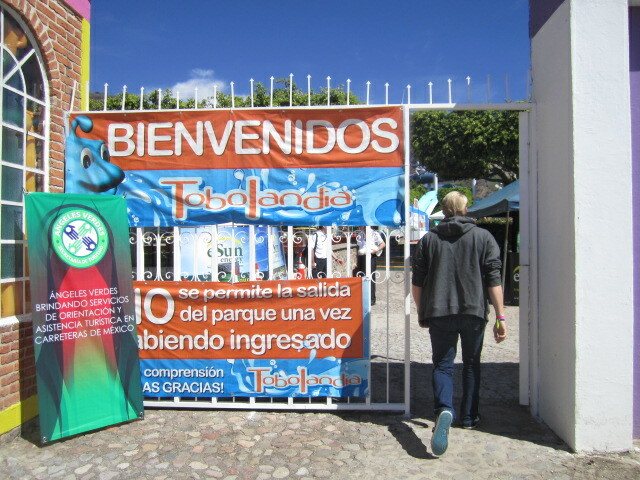 Tobolandia water park is a great place to have this event. There is plenty of room for parking in front and room for all the stalls and events. The central area had enough tables and chairs so people could sit for as long as they liked; listening to music, meeting up with friends, eating, and there was even room for dancing. 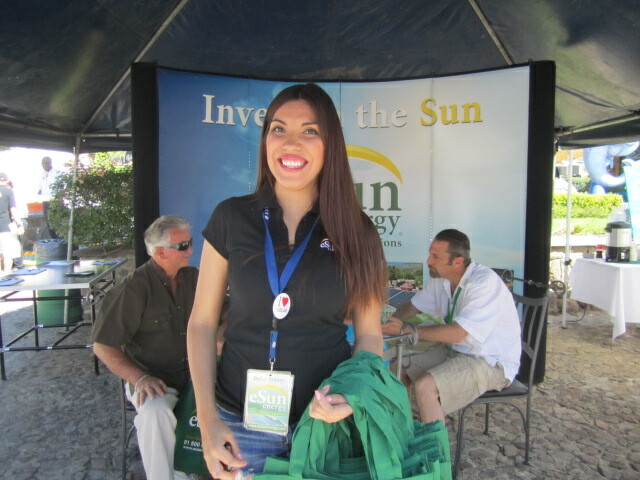 The first booth past the entrance was the solar energy booth, eSun energy. The beautiful young woman in the photo above was passing out free cloth bags to people. She also gave us bottles of water. These two young girls were dressed in their dancing costumes. You can see in the background that people were enjoying the chairs and shade provided by the awnings. This photo was taken in the morning on Saturday and not many people had arrived yet. Later on in the day, this area was filled with people. Saturday was a little overcast which made it nice. Not as hot as it was last year. 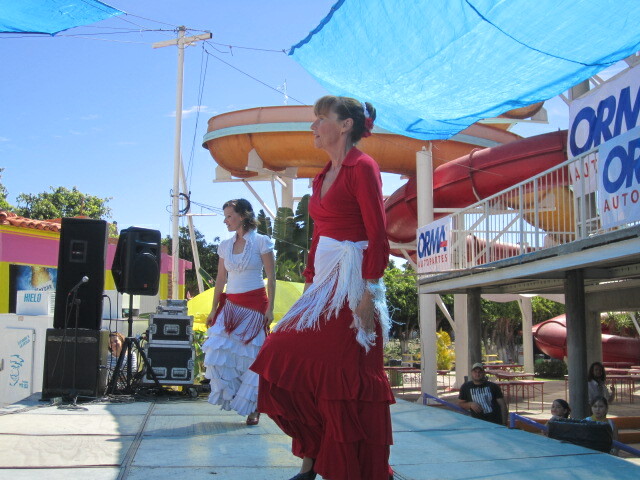 The two women in the above photo did several dances. I am not putting any more names in this article because it was too difficult to get names. The event quickly became crowded. Hopefully, you will just enjoy the photos without names. 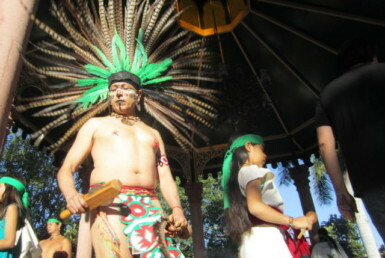 I was there on Saturday and there were dances and musicians playing on the stage most of the day. The young woman in the above photo did a lovely free style dance. I missed the children dancing but I missed a lot of things. There was so much going on all the time at the event. I also missed the Ballet Folklorico and the Mariachi concert and a couple of rock and roll bands. On Friday there was a Margarita Competition. Sorry I missed that. 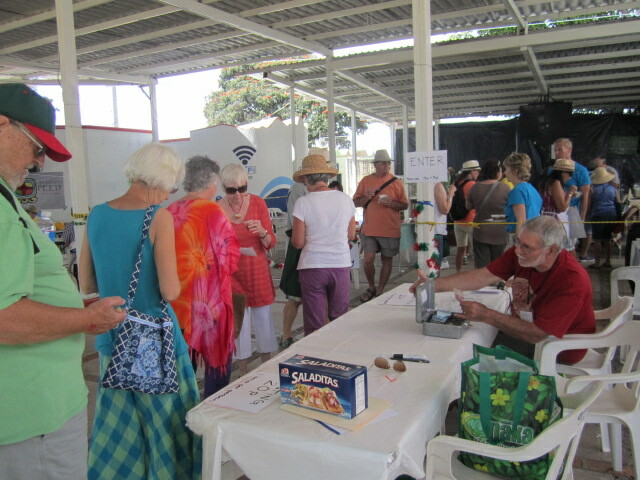 And all during the event there were hourly drawings for raffle prizes. I didn’t miss the chili tasting on Saturday. There were seven different ones and this year we were given full cups at each table. The cost was only twenty pesos for all of them. We were given a ballot so at the end, after we had eaten our chili samples we were to cast our ballots for our favorite ones. I do not know who won because that was announced on Sunday afternoon. 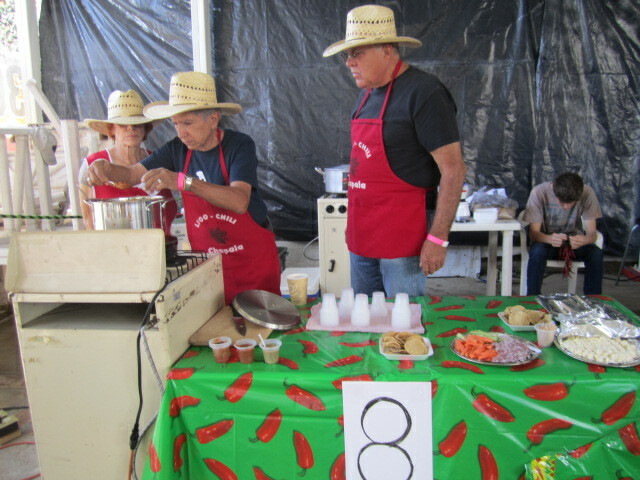 The winners are going to go to the International Chili Cook-Off. This is a big and important event for the chili people. 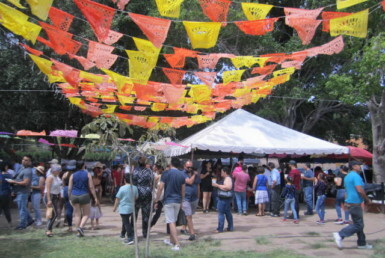 Below are photos of the various booths but instead of writing about each booth, I am going to now write about the nonprofit organizations that will be recipients of the money raised here. So, I hope you will just enjoy the photos along with the information. 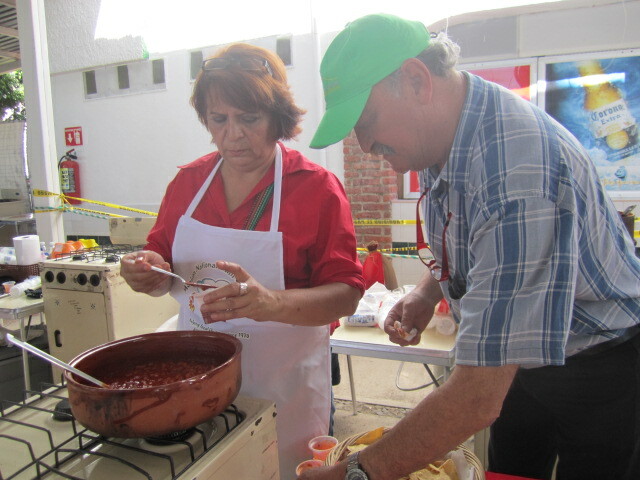 List of charities supported by the Chili Cook-Off: Casa de Ancianos de Chapala (Home for Elderly Citizens in Chapala) This is a home in Chapala for the elderly residents who have significant health issues. with 24-hour nursing care. It was founded in 1972. All of these nonprofit organizations could use any extra financial help you might want to offer. And many of them would welcome volunteers. Ninos Incapacitados del Lago. This program helps children with disabilities such as cerebral palsy, epilepsy, cancer and birth defects. It pays for medications, diagnostic tests, therapy sessions, and medical equipment which are not covered by the family’s insurance. Cruz Roja de Chapala (Red Cross of Chapala). They maintain two ambulances at all times and one in West Ajijic. They are staffed by trained Paramedics and equipped with oxygen, EKG and defibrillators, back boards and a full array of emergency equipment. Los Ninos de Chapala y Ajijic (The Children of Chapala and Ajijic). They provide educational scholarships for Mexican children. They support the educational and nutritional needs of the Lakeside area’s underprivileged children and have been doing this for almost forty years. They provide tuition fees, school supplies and uniforms and a monthly supplement and in some cases, accommodation and transportation for children. Centro de Desarrollo (Ajijic) Center for Family Development. This center has health services for family planning and sexual and reproductive health. It sponsors talks in local communities and schools. For years they focused on women but four years ago they started education the men about sexual and health issues. Love in Action Center. Love in Action is a home where children who have suffered neglect or were in high-risk environments are placed by the Mexican government so they will have a safe haven. Their mission is dedicated to providing abandoned, abused, orphaned and poverty-stricken children with a save and loving home. Escuela Para Sordos de Jocotopec (School for the Deaf in Jocotopec) They provide education for the deaf children in this area. They teach the children sign language and how to read, do sculpture, carpentry and arts. They also provide different types of hearing devices and everything related to the enhancement of their hearing defect. They are now serving 110 children. That is the end of the Chili stands. Besides making money for the local charites, these people working in the booths looked pretty happy. What a fun event. One more nonprofit organization. Proteccion Civil Chapala (Chapala’s Fire Department) The above photo is not one of the chili booths but one of the booths that made different kinds of food. There were many food booths besides chili, just in case you don’t like chili. 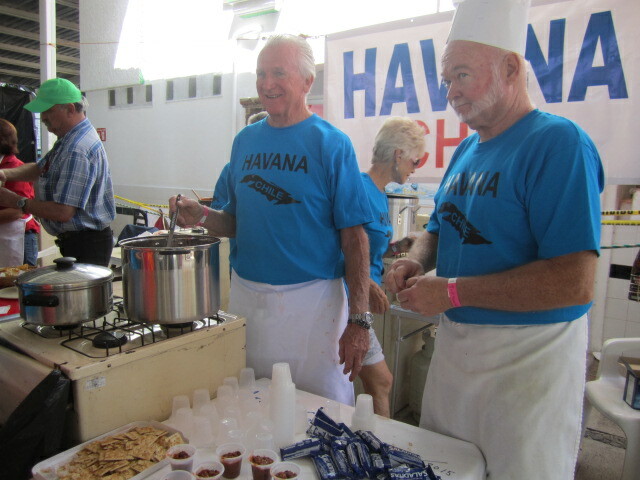 Some of the food booths were run by the different nonprofit organizations. Others were for profit. All of them served delicious looking food. Above is one of the stands that was manned by a local charity. Pies, yum. All of these stands had many customers throughout the day when I was there. Now we come to the craft stalls. Many of them were local crafts people. 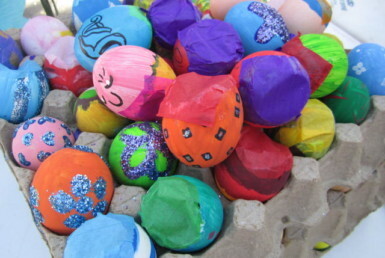 Some came from other areas of Jalisco. All were interesting. 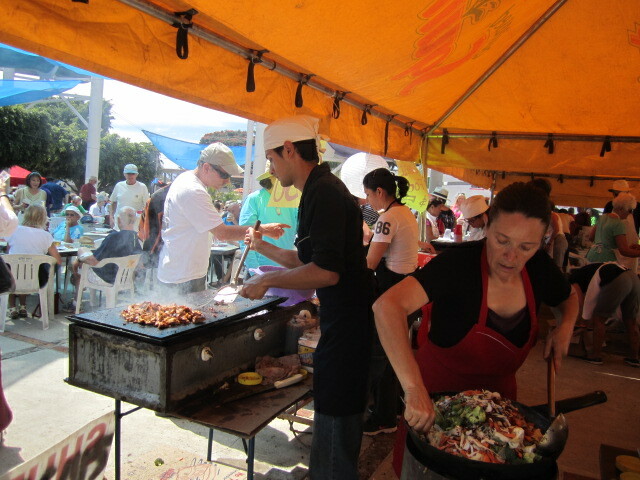 There were 65 different stalls, including the food stalls. Unfortunately, I do not have enough space in this article to put photos on of more than two. 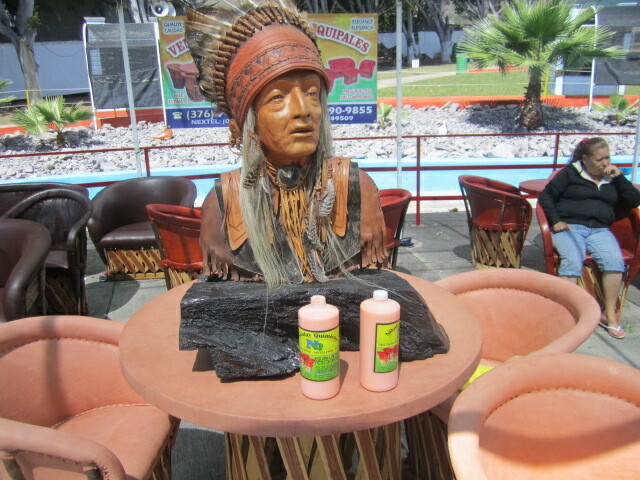 This Huichol man is a local. I have bought some yarn paintings from him for my family. He is very friendly. 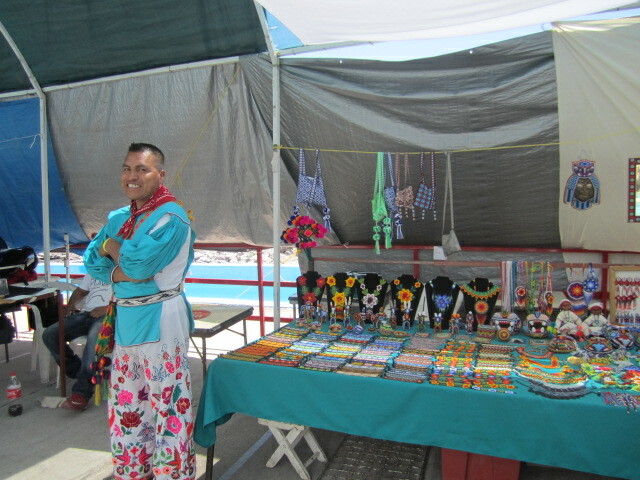 He brings in many beautiful beaded pieces of jewelry that were made by himself and other Huichol Indians. Also some large beaded sculptures, like Jaguar heads. You can see a couple of them at the back of his table. 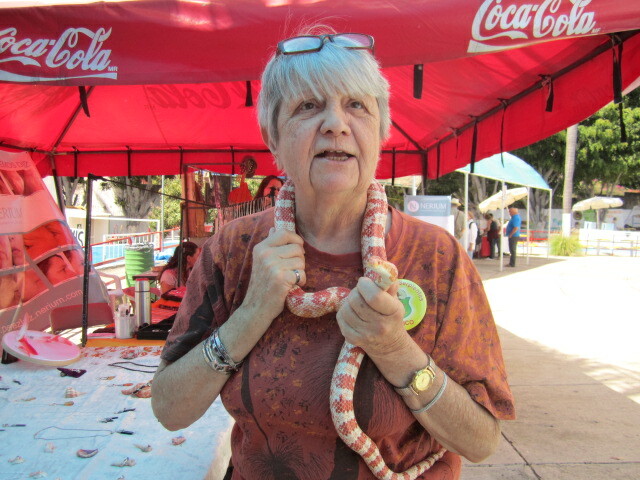 I couldn’t resist taking photos of people with the animals and this snake. 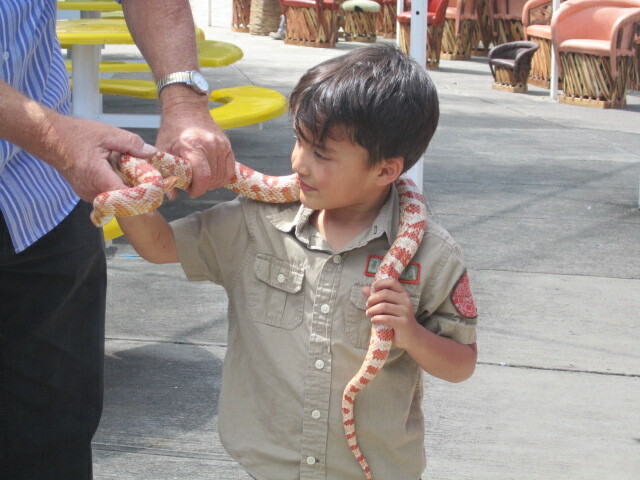 At the beginning of the day, I saw this Corn Snake around the neck of a woman and at the end of the day I saw it with this young boy. I loved seeing the smiles on their faces and the snake looks like he is enjoying himself too. Or is it herself? I don’t know much about snakes. I certainly wasn’t brave enough to put this one around my neck. I was told the name of this bird but I forgot. I think it is some kind of Falcon. 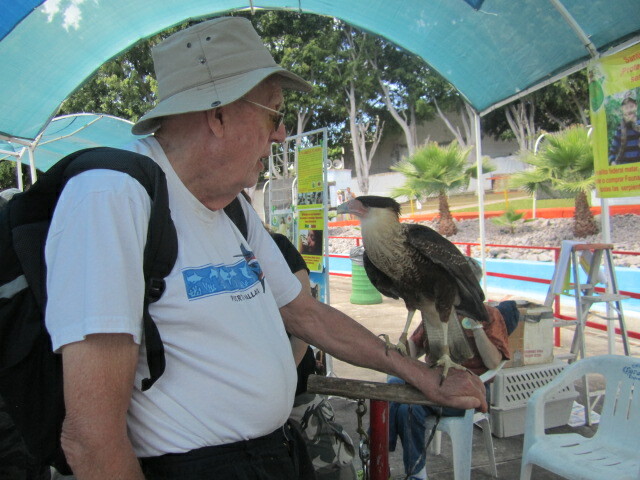 I loved seeing this man and the bird watching each other. The last animal I photographed is a South American Raccoon. I loved seeing how happy he (or she) looked in the woman’s arms. I wanted a turn but the woman wasn’t about to give up all that loving. 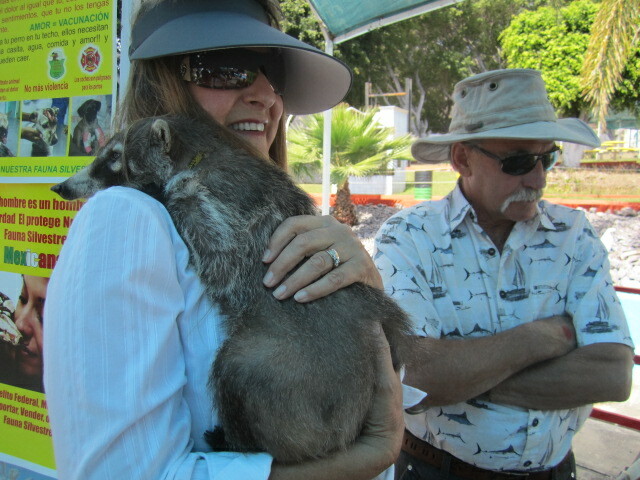 Check out the long nose on the Raccoon. 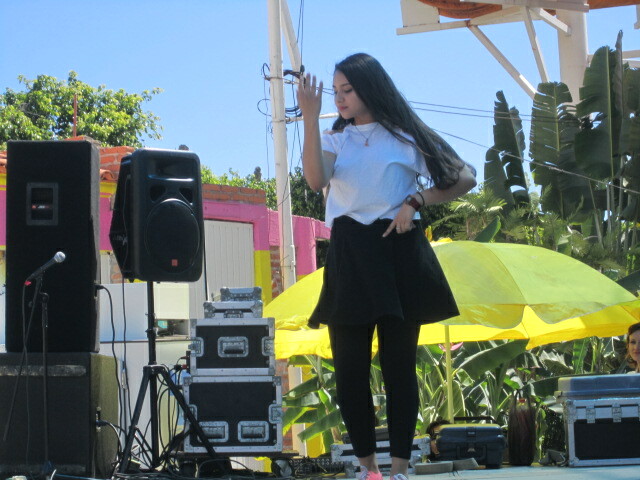 There was a lot of dancing going on at the festival. The photo below is of a line dance someone organized. 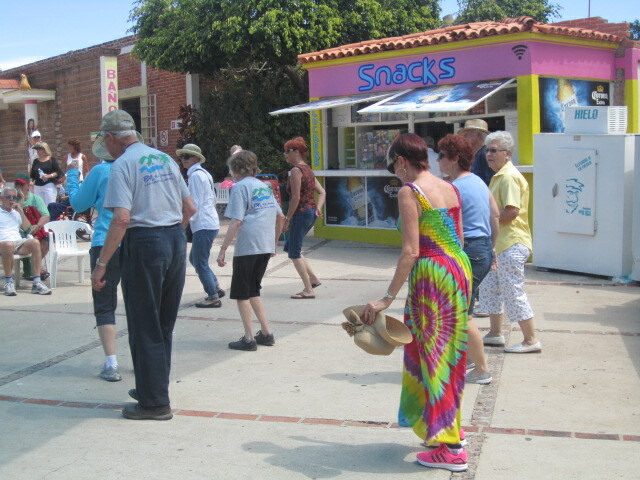 There are restaurants here and also the Lake Chapala Society that teach various line dances. So whenever there is a country band playing, someone always starts one up. 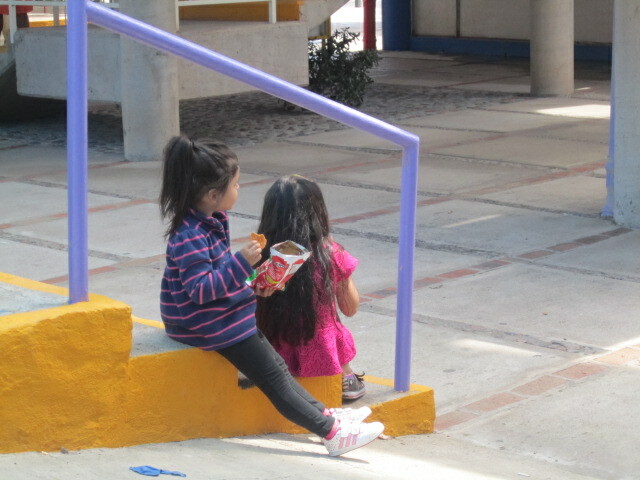 This last photo if just of two little girls resting and having a snack while people all around them are dancing, eating, talking and being very busy It is good to rest, even in the midst of lots action. I wish I could have included more photos. I took hundreds of them. But the next best thing is for you to go to this event next year. As I said at the beginning, it is the biggest fund raising event of the year here. And it is a lot of fun. 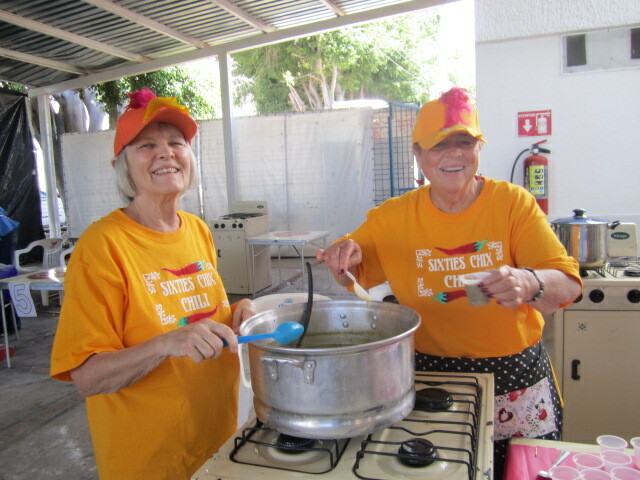 If you are interested in volunteering for next year’s Chili C00k-Off, contact them at www.mexicanchilicookoff.com It takes a lot of volunteers to make a successful event. Besides, you will make new friends and have fun. I hope you will consider either volunteering and or donating money to these various charities. Thank you for the report. We enjoyed this year’s event, too. What days are the next year’s (2016) Chili Cook-Off taking place? This reply isn’t just regarding the chili cook off, but your blog in general. 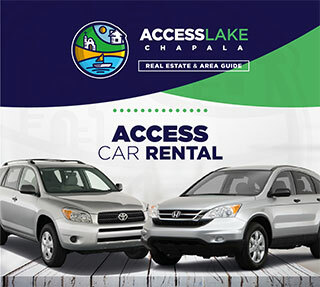 I greatly appreciate you taking the time to give us an insight of what daily life is like at Lake Chapala. My wife and I are planning on visiting there for the first time in May and I just recently discovered your blog posts. I have started going back through older posts and am finding them very helpful. Please keep them coming! We too are planning our first visit to Ajijic in May. Thank you for sharing your insights. My Father is looking at moving to Ajijic. He is a senior and alone. i was wondering if there is any one we could hire to come get him for a few days and show him around and introduce him to some of the other Expats. Plan on coming this month. Wondering how the move went for your father and if you found anyone to show him around. I am in a similar position and coming down in July. I am also a senior and looking to move to Ajiijic next year. If you do receive a reply to your ad for someone to show your dad around, would you please share that information with me. I hope to visit in February 2016. Thanks for your blog, it’s very interesting! To the folks wanting someone to show them around, check out the LCS, they should be able to help you. What are the dates of the 2016 Cookoff. I am planning my trip and always want to be there for the festivities.